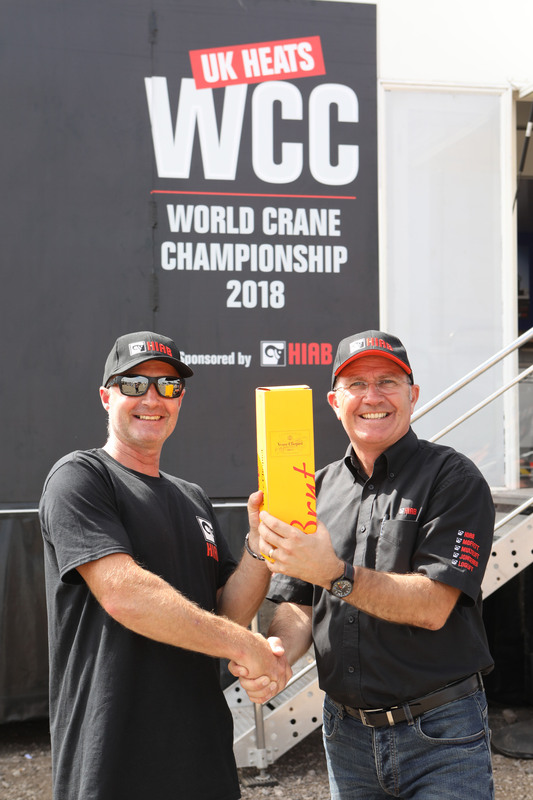 Truck driver and Trevor Tack will again represent the UK in the finals of the World Crane Championship, sponsored by HIAB, having taken the UK heat at Convoy in the Park last weekend (21-22 July). Tack, 50, from Beaconsfield, who works for Brackley-based civil engineering firm Agetur UK, set the best time in the UK heat, retaining the title he won in 2016. The course the competitors in the UK heat faced comprised moving around and knocking over a number of water cans around a pre-determined course. Tack completed it in a time of 3 minutes 00s, a clear 25 seconds quicker than his nearest rival, Ben Oxley of boat builder Sunseeker UK. Third place fell to Andrew White of Lawsons Builders Merchants. Tack goes forward into September’s final, which will take place at the IAA Commercial Vehicle show in Hannover 22-23 September, for a chance to be crowned 2018 World Crane Champion and to win a prize worth a combined value of €25,000 to him and his employer. He will go up against the 14 winners of all the other national heats. Convoy in the Park, held at Donington Park, saw HIAB enjoy a significant presence. As well as hosting the UK heats of the WCC, its stand overlooked the famous sweeps of the race track’s Craner Curves played host to a variety of market-leading HIAB equipment, including its MULTILIFT XR 24 S, the practical MOFFETT M5 NX truck-mounted forklift, and a HIAB X HiDuo 298. Furthermore, an operational mini-crane that gave young people the chance to try out their load-lifting skills proved extremely popular over the course of the two-day event.